SAMK Library is a meeting place where learning, research and expertise are supported. Get a free SAMK Library card and read books, journals and theses. Borrow and return in any campus library. Find up-to-date information for your studies. SAMK students have access to international databases and online resources in Finna. Our "book a librarian" service, INFOpoint offers personal assistance for SAMK students by appointment. 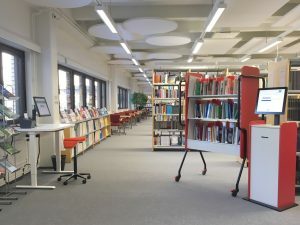 Welcome to our campus libraries in Pori, Rauma, Huittinen and Kankaanpää. You can borrow materials from all campus libraries with the free SAMK Library card. Renew online in Finna or in the library. Return your loans to any campus library. You can get a library card from the library the first time you take out a loan. You should have an official ID card with you. The library card is your personal property and you are responsible for items borrowed with the card. You should return or renew the borrowed items by the due date to avoid overdue fines. Notify the library if your contact details change or you lose your card. 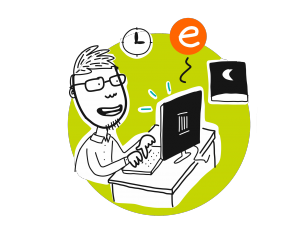 The library will usually send overdue and other notices by e-mail to your SAMK e-mail address. 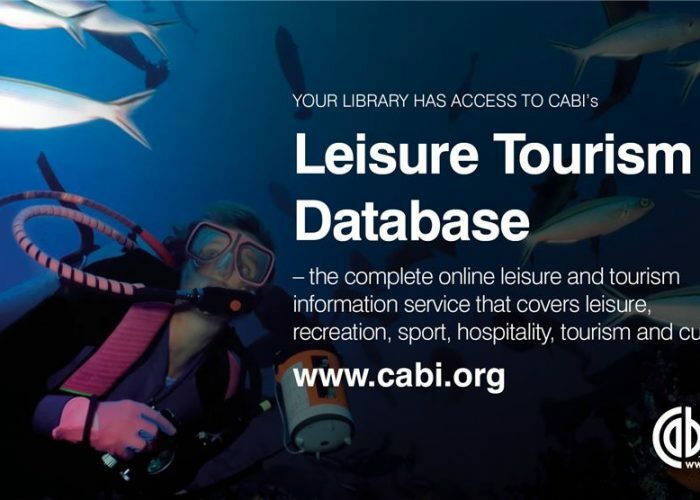 Log in to Finna discovery service when you have got your library card. You can renew, place holds, set a due date reminder and save favourites and searches online. As a SAMK student: Log in to Finna with your SAMK ID. 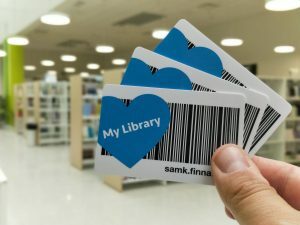 Connect your SAMK library card to your SAMK ID. Set a due date reminder in Finna. Read how to do this. As a visiting customer: Log in to Finna with your library card. Set a due date reminder in Finna. Read how to do this. As a library customer you accept our borrowing policies, loan periods, overdue fines, charges and code of conduct. You can usually renew an item if it has not been reserved by another customer. You can renew loans in the library, by telephone and in Finna. Online renewal is recommended. If the online renewal is blocked without any obvious reason, please contact the library. If a customer's data has not been updated, it can cause a block. Overdue loans can usually be renewed but the overdue fines apply. No renewals by e-mail or SMS. Set a due date reminder in Finna to get an e-mail before the due date. Short loans can't be renewed. You can return our library items to any SAMK campus library. Borrowed items should be returned or renewed by the due date and time. Loans returned to a book drop after hours will be processed on the next opening day. There are fines for overdue items and in some cases borrowing rights may be suspended. See "Overdue fines and charges". You can pay online in Finna and with a debit or credit card at campus libraries in Pori and Rauma. Fines for overdue items are charged after the due date and time. You will lose your borrowing rights if you have 20 EUR unpaid fees or you have lost or damaged library materials. You will regain your borrowing rights by returning the borrowed items, paying the fees and replacing the lost or damaged materials. A lost or damaged item must be replaced with an equivalent item or by paying an amount determined by the library (the price for the item, minimum 40 EUR). You can place a hold on a book. Place your hold in the library, by telephone, by email or online in Finna. Your request is valid for 60 days. When the item can be borrowed a notice will be sent to you by email. Need publications not in the library's collections? Publications by authorities, universities and organizations may be found online in many cases. You can borrow items from other university libraries and municipal libraries. Please let us know about items that could make a valuable addition to our collections. Interlibrary lending may be used when the desired book, thesis, dissertation or journal article cannot be found in the SAMK library and in the library's databases and online resources. Copies of journal articles can be delivered, not the printed copy of a journal itself. Loan periods vary depending on the sending library. Find information for your studies. SAMK students have access to international databases and online resources. 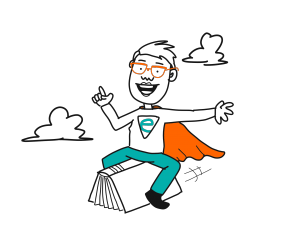 In Finna Discovery Service you will find books, e-books, journals, theses and links to essential online resources and databases such as MOT Online Dictionaries, Ebsco, Emerald Insight, ProQuest, PubMed and Theseus. Go to Finna and see E-resources menu for more databases. 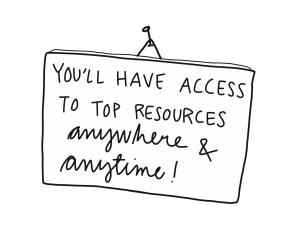 As a SAMK student you can access online resources also off-campus. Our library staff will help you with printed and online collections. If you need quick guidance in information searching, please, contact our staff. Our "book a librarian" service, INFOpoint is for SAMK students who need for example information for their theses. INFOpoint offers personal assistance through appointments. SAMK Library has purchased thousands of e-books from various publishers for students. There are links in Finna for course e-books and other online publications and theses. Use Finna to find a certain e-book or browse the collections. You can find freely available e-publications with Google or another search engine. Online theses by SAMK students and other Universities of Applied Sciences are freely available at Theseus.fi. E-books are available in several formats. You can often read a book directly on a web page or download it to your computer as a PDF file. Commercial publishers' e-books are often protected and the free Adobe Digital Editions software is needed. Note that this is a different software than Adobe Reader. Bluefire application may be needed in a tablet or smart phone. SAMK students have access to thousands of online magazines, journals and newspapers from various publishers. There are also printed professional magazines in campus libraries for you to read and borrow. Check out the printed magazines and journals we subscribe to our campus libraries. You can find online magazines in Finna. Search for the magazine or journal title or use the international e-materials search in Finna to find online articles.